Good app except for the over kill on commercials. Wastes to much time. One commercial when the app is opened would be acceptable not every time you change stories. Love the quick check of the weather plus breaking news alerts. Needs work on updating in all areas. I could not even find anything on Boys State basketball under High School sports!!! You don’t cover stories that are not in your political view either. News will be the same for weeks. If you read a story it zaps you back to the top of the page and you have to scroll down again. Very frustrating. Too many cut and paste Internet articles. One bad person articles far out weighs one good person articles and divide is widen in race relations. Eric Sandmann is a good example of this. No search for truth rather cut and paste. The heck with retractions. Good information and presented in an easy to use format. First and foremost. Fix the typos! You are journalists. Here’s a thought. How about proofreading? Don’t they teach spelling in the schools anymore? Also, sometimes you click on a story and it is a blank page. I used to do web page design. We always tested the page before we put it up. If time doesn’t permit this then put up less content. Just make sure it is quality, well written content and it loads properly. 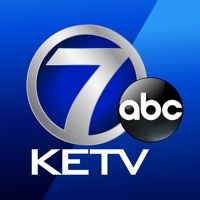 Only TV news source I use in the Omaha metro area. I can’t even read an article without some add popping up. Who wants that! How can you send a bad review if your app won’t take a name. Just received a advertisement for prostitution ! I have not requested this service and do not think it is something I or children should be exposed to. Some times all that plays is the commercials. I like to keep informed on the news and weather, not with this app. Stories are old, weather forecasts are not updated frequently. Have to watch ads before getting to stories. Have never seen “breaking news”. All too often I receive an alert and when I go to your site the story either not there or hidden. Then the site frequently freezes when attempting to retrieve the buried story. These are ongoing problems. I don’t experience them with other sites. U don’t care what I think. U never change anything. I like the push notifications for traffic, weather, or critical stories like amber alerts but not about football, the mayor, or Nebraska Medicine bought a new machine, etc. When you do open the alert, there is no information; just a “we texted it first” kind of feel. Wish I could select what kind of info I want. You lost me a day ago when your story was anti Trump about the boy dying at the Boarder, you are supposed to be unbiased and you weren’t. Very disappointed. Had watched you for almost all my 63 years. Also I want to see local news on here. I have multiple apps for news all over the world and the US. It’s confusing when your headline is about a murder or something and it’s not in Omaha. 1) I’ll get a new notification and tap it. The app opens but the details of the new notification are nowhere. 2) There are typos in every story. They also have glaring grammatical errors. I’m guessing because it’s more important to them to be “first”. So, a shoddy piece of work is posted in haste. 3)It’s very annoying to have a video come on that you can’t control. A lot of times, I’m in situations where I read the news but the situation is inappropriate for audio to come blaring on. 4) Not related to the app but to the news broadcasts. The women, especially Julie Cornell, need wardrobe adjustments. I admire her dedication to staying in great shape for her age. The problem is the knobby, unattractive knees showing given the short dresses. Sometimes, the issue is actually distracting. If she must wear these ridiculously short hems at her age, without pantyhose, which I know is “the fashion” of the times, don’t show her full body. She doesn’t look good. I originally liked having this app, but over time, it has changed so that it sends a notification, and immediately jumps to a commercial. It would be much nicer if it wasn’t infested with ads. Please allow further alert customization within “local breaking news”. Or better yet, please reconsider what you consider breaking news and worthy of an alert. The football coach is NOT breaking news. Please allow for those who wish to receive true news do so, create an option to eliminate sports from alerts. I felt forced into accepting and opening an app. I don’t want all my info out there nor do I need more junk posted. You invited me back, next time I’m out for good. I can put up with a few of the commercials but the gambling after gambling after gambling has got to go. This is possibly the worst crap you can advertise, get rid of it! I love KETV. Living in Lincoln , it is nice to watch Omaha news. Especially on the weekends in the morning since there is no morning news here. I get tired of female CEO and her editorials. She is very irritating. Otherwise Watch channel 7 all the time. When she comes on I switch to channel 6. Great job of being up to the minute new to the Omaha area. It would be nice if when I clicked on a notification or alert that the app actually took me to that specific story instead of the home page. I end up spending more time trying to find the story in the app than anything else. I usually end up closing the app and then google the story because I have better luck that way. What’s the point of getting a notification or an alert if you can’t click it and see what you are being notified for? In a busy day, this is where I go to get my regional updates. Thanks for all your hard work! Way too many ads that distract you from getting news and weather. Saddened by this because KETV is my preferred news source. If you don’t open the notification when it pops up, you’ll never see what it was about in scrolling down or anywhere in the news feeds. Also weather info and radar take forever to load. I’ve had this app for quite a while. The advertisements work PERFECTLY. The rest of it...wow...freezes up constantly (except for the ads). I can’t make it through one newscast with out it freezing up or it will “studder” and repeat like it’s replaying the last 3 seconds. You always miss the top stories of the newscast because even though it says “watch now”, after you get done watching the ads, which stream perfectly by the way, the blue screen of death (KETV logo) just sits there..very frustrating. Please fix this app. When you want “right now” news they bring it. The most precise weather broadcast and breaking news. Their app is a must have on my phone. Thanks to all at KETV you rock!! This has been my favorite station for many years ! Everyone there is great at their job ! Even new people always seem to fit right in and do a good job ! Whether on TV or online, channel 7 is the best ! 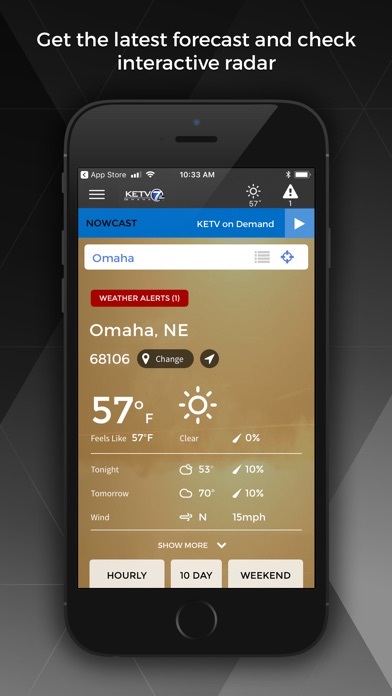 How many commercials does it take to watch a 30 sec video clip on the KETV app??? I spend more time waiting for the commercials to funnel through than its worth watching the actual news clip. Too bad because I like KETV omaha. Two things I don’t like. News stories from outside my area which i can’t distinguish from stories about my area until I open them and start to read them, and stories that stay on for days. Old news is not good news. Wish I could see things happen in schuyler and Columbus. 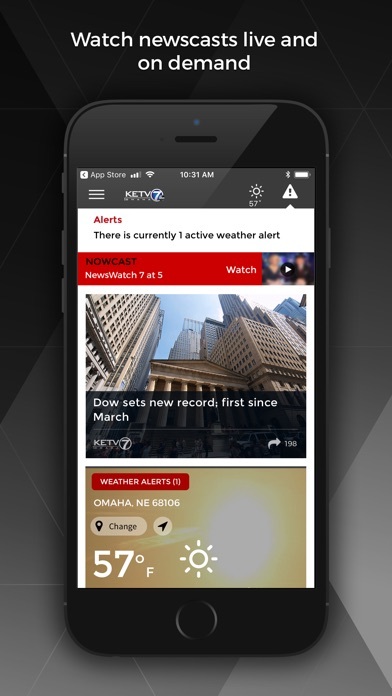 I like KETV to watch but not a fan of the app. Commercials come first (which I get-gotta pay to keep it free) but the sound comes in even when I have my phone on silent or vibrate. This is not okay! I have it on silent so it does not disturb. This is a huge problem so I will read the alert only and not open the content. When I do open it, the headlines make it tough to tell whether it’s local or national news. I love all the news team. They are not stuffy the have fun during the broadcasts and inform you when there is breaking news! Do not change anything or anyone. They all are the best. Waverly Monroe needs a wardrobe Makeover. She’s a big girl and needs to not wear tight unattractive clothes. Set an example for young girls.